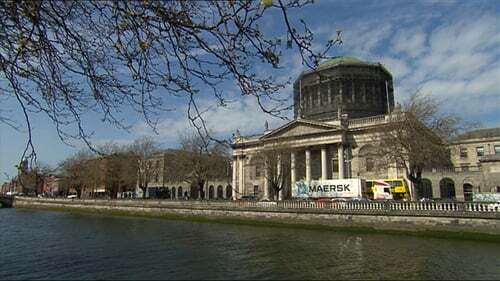 The High Court has refused to force a pregnant woman to have a Caesarean section against her will, to vindicate the right to life of her unborn child. In a decision issued today, after a hearing held in private last month, the court ruled it would be a step too far to order a forced C-section, even if that increased the risk to both mother and child. Mr Justice Twomey said he could not see why the woman would choose to take on an unnecessary risk of injury or death to herself or her child. But he said the increased risk she was undertaking for her unborn child did not justify the court authorising her to have her uterus opened against her will. He said that would be a grievous assault if done on a woman who was not pregnant. The woman had had three previous C-sections and was pregnant for the fourth time. The HSE sought the order after doctors advised that if the fourth baby was delivered naturally, there was a risk her womb would rupture, posing risks to the life and health of herself and her baby. The day after the emergency court hearing, believed to be the first of its kind here, the woman's waters broke. She agreed to a C-section delivery and her daughter was born healthy. In his ruling, the judge said the fact that the woman had had three previous C-sections was a crucial factor. The medical advice the woman had received was that she should have an elective C-section, rather than opting for a natural delivery, which risks uterine rupture. A leading obstetrician gave evidence that it is unheard of in this country that a woman would give birth naturally after three C-sections. The woman believed seeking a natural labour would expose her to a 3% risk of uterine rupture and the risk of uterine rupture from an elective C-section was between 0-1%. The obstetric evidence guessed the risk from a trial of labour could be higher but that was only a guess as a natural delivery had never happened in an Irish hospital after three C-sections, the judge noted. The judge ruled that the woman had no psychiatric condition and must be presumed to have capacity to refuse to take medical advice. He said her refusal to follow this advice was more difficult because of the constitutional protection for the right to life of the unborn. He said the court's view was that the right of the courts to intervene in a parent's decision in relation to an unborn child could not be any greater than the court's right to intervene in relation to born children. The judge said the increased risk she was undertaking for her unborn child did not justify her having her uterus opened against her will. The original hearing was held in camera - or in private - after an application by the Health Service Executive. After the birth lawyers for the woman and her child sought an order making the judgment public. This was opposed by lawyers who had represented the unborn child and lawyers for the HSE. However, the judge ruled it was the mother's choice to make, and not the HSE's. He said he could see why the HSE might believe it might not be in the baby's best interests for this matter to be publicised but he said it remained a matter for the mother to decide. The judge ruled the purpose of the in camera order was to protect mother and child who now wanted it lifted. He said no perceived interest of the HSE or its staff could outweigh the constitutional requirement for justice to be administered in public. However, as the original proceedings were held in camera, and in light of concerns expressed by lawyers for the HSE about evidence given by medical and nursing staff the judge ruled the judgment would not disclose the identities of any parties or witnesses involved.